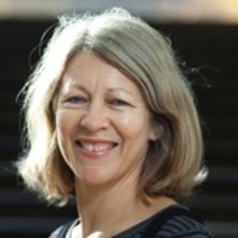 Robyn Eckersley is a Professor and Head of Political Science in the School of Social and Political Sciences at the University of Melbourne. Educated at the University of Western Australia, Cambridge University (UK) and the University of Tasmania, she taught environmental politics and political theory at Monash University from 1992-2001 before joining the University of Melbourne in 2002. She has published widely in the intersecting fields of environmental political theory, environmental politics and policy and global environmental politics. Her current teaching includes international relations, global environmental politics and political theory. She is on the Editorial Advisory Boards of Environmental Politics; Environmental Values; Ethics and International Affairs; Ethics, Place and Environment: A Journal of Philosophy and Geography; Global Change, Peace and Security; Global Environmental Politics; Journal of International Political Theory; New Political Economy; Organisation and Environment; and International Theory: A Journal of International Politics, Law and Philosophy. Her current research focuses on the international climate change negotiations (particularly the role of the USA), the justice implications of carbon trading schemes, and the relationship between international trade and climate change. She is a Fellow of the Academy of the Social Sciences of Australia.